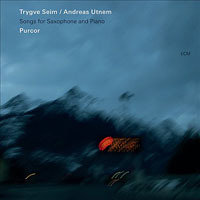 Trygve Seim was born in Oslo in 1971, and took up the saxophone at the age of 14. His earliest inspirations were, he says, Jan Garbarek, electric Miles Davis, and ECM's documentation of European improvising. Seim studied jazz at the Trondheim Conservatory. During those studies he met pianist Christian Wallumrod, co-producer of the present disc and an ECM artist in his own right (see “No Birch” ECM 1628) and together they formed the group Airamero, which made Scandinavian tours with Kenny Wheeler and played in Germany with Nils Petter Molvaer. In 1992, Seim, now based back in Oslo, joined the “little big band” Oslo 13 and appears on its 1993 album “Live”; when leader Jon Balke left the group in 1995, Seim and fellow saxophonist Morten Halle became the ensemble's principal composers. 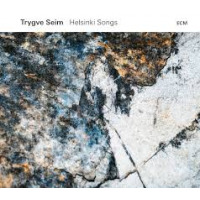 In 1995, Trygve Seim played with the great Finnish drummer Edward Vesala (”Edward was very important for my musical development”), and they talked about forming a trio with Iro Haarla on harp and piano. In 1999 the project-in-progress was expanded to quartet-size with the addition of Anders Jormin on bass, and rehearsals began in earnest. The group played compositions by Seim with a melodic, freely expressive approach, as well as material by Haarla and Jormin, and radical re-workings of “standards” (if the term applies) by Legrand and Handel. A debut concert at the Kongsberg Jazz Festival in July 1999, showed a group full of promise which was never to be fulfilled. Edward Vesala's sudden death, in November of that year, closed this chapter. All About Jazz musician pages are maintained by musicians, publicists and trusted members like you. Interested? 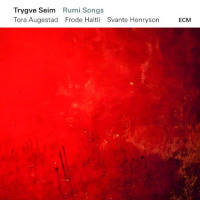 Tell us why you would like to improve the Trygve Seim musician page.